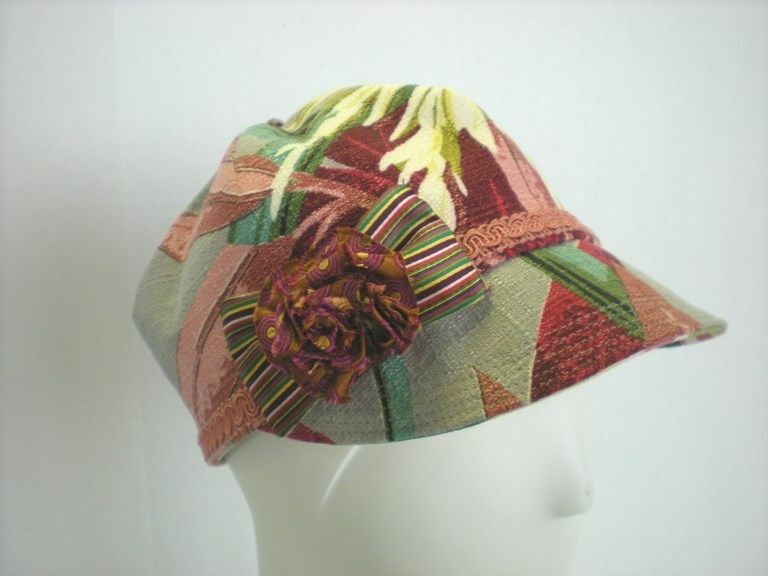 This casual cap is made with a vintage bark cloth with a tropical pattern. Vintage braid band, handmade bow and flower accent. Can be made with other fabrics and trimmings.